Eyebright (Euphrasia officinalis) P. E. 40 mg; Red Clover (Trifolium pratense) P. E. 40 mg; Nettles (Urtica dioica) P. E. 40 mg; Yarrow (Achillea millefolium) P. E. 40 mg; Milk Thistle (Silibum marianum) P. E. 20 mg; Excipients: colloidal anhydrous silica, starch, gelatin capsule. Uses: Sustains and improves brain’s blood circulation. 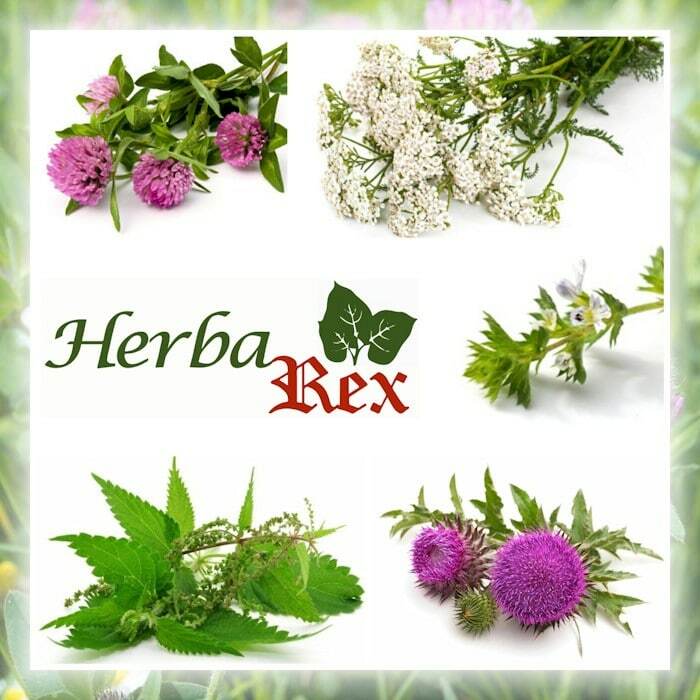 Alleviates the function of upper respiratory tract and bronchi in cases of pollen-induced irritations. Recommended daily dosage: Take 1 gelcap (max. 2 at a time) twice daily with meals. User directions: Do not exceed the recommended daily dosage. This product is not a substitute for a complete and healthy diet. Storage: Keep in a cool, dry place, away from light, and out from the reach of children. Contraindications: In cases of allergy to any of the product’s ingredients. Not to be used during pregnancy, nursing, or by young children.